Orange County Mayor Teresa Jacobs helped officially launch the Central Florida Workplace Challenge, a friendly competition that will help local businesses save money, create healthier workplaces, reduce their environmental impact and enhance our community through volunteer service. Now, Orange County is hoping more businesses will join the effort. Green Destination Orlando will be the administrator of the challenge and will be able to assist organizations throughout the process. The hope is to get more local businesses on board to participate in the challenge before the kickoff event on February 25th. According to Orange County officials, the six-month long challenge will provide businesses with the opportunity to earn awards, enjoy educational and networking socials, and compete to be the best in one or more of the three categories: Green, Healthy and Involved. The “Green Workplaces” category will recognize workplaces moving towards a greener future, with a focus on employee involvement, community outreach, energy and water conservation, waste and consumption, as well as transportation. The goals for the “Healthy Workplaces” category are to reduce environmental impacts of operations and buildings by engaging property owners, managers and tenants alike. Participants will be following a “Prescription for a Healthier Workplace,” which focuses specifically on physical activity, healthy foods, active transportation, lactation support and tobacco free workplaces. Finally, the “Involved Workplaces” category will focus on improving the level of community engagement, creating a culture of service at the workplace, developing volunteer programs, as well as promoting community and volunteer projects and awarding outstanding volunteers. The competition will be based off of online scorecards where participants can earn points for completing a range of tasks designed to improve their workplaces. Those competitors who score enough points will be recognized at an award ceremony at the conclusion of the challenge. 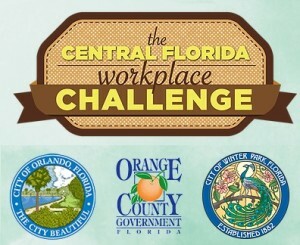 The official Central Florida Workplace Challenge Kickoff will be held on Thursday, February 25th from 5-8pm. 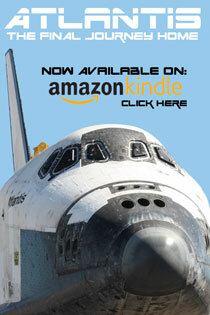 Registration is required, but the event is free. Orange County is partnering with the City of Orlando, the City of Winter Park and Green Destination Orlando, a local non-profit, to administer the Central Florida Workplace Challenge. Green workplaces typically reduce operating costs while decreasing environmental risks and liabilities. Pursuing the triple bottom line of profit, people and planet is good for business and good for our community.